The tools for creating real-time applications in the browser are getting better all the time. Running node.js on the server, in conjunction with libraries like socket.io, makes it ridiculously simple to facilitate server push and event-driven communication between clients. Combine this with Twilio Client for voice communication in the browser and you have an incredibly powerful platform for facilitating communication between users of your application. In this tutorial, we will examine a sample application enabling pair (or large group!) programming in the browser. Check it out live here! You’ll be able to voice chat with other coders as changes are magically beamed in real time from their editor to yours. Check out the complete source code on GitHub to see how it all comes together. The app is reasonably large, so we’ll only focus on the most important code paths on both the client- and server-side. Let’s start with what’s going on in the browser. On line #4, we’re including the browser component of the socket.io library. This will handle communication via web sockets or HTTP long polling with our node.js program running on the server. Looking at the script tag, you might think that “socket.io/socket.io.js” is in our web app’s static content directory, but it’s actually generated dynamically by socket.io. This is handled for you automatically – no need to configure anything extra. Note that we’re setting a boolean flag every time we get a new update from the server, to indicate that the editor has been updated by our own client side code. We do this to prevent the editor’s “change” event from firing every time an update is received from the server, which would then fire updates to every other client, causing an undesirable infinite messaging behavior. Sort of like when your mom learned how to send text messages. If the change was initiated by user input, we immediately publish a message on our socket indicating that we have editor changes to publish to all clients. This updates all connected clients almost immediately. We send an Ajax request to the server using jQuery to fetch this capability token, using the username our user gave us when we “prompt()”ed them on page load. In the success handler, we initialize our Twilio.Device and are ready to make outbound calls to a voice conference set up for this editor. 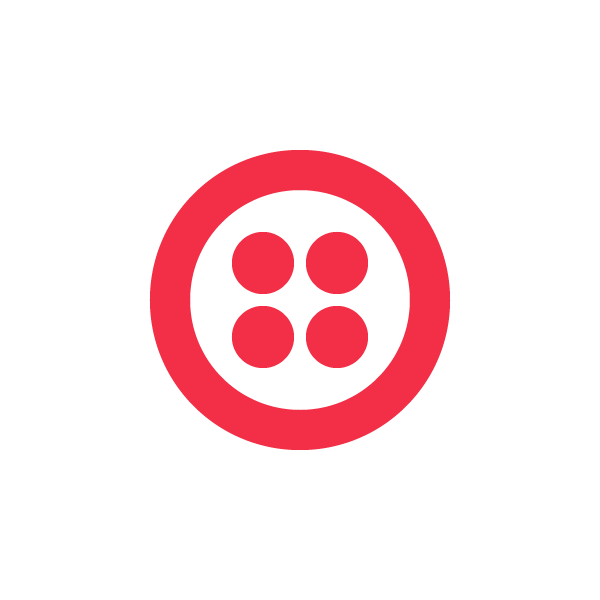 To connect to the editor’s conference call, we call Twilio.Device.connect(). To leave the conference (hang up), we call Twilio.Device.disconnectAll(). That about wraps up the salient bits of the client side part of our application. We propagate changes to the text editor using socket.io, and manage presence and voice chat via Twilio Client. Let’s take a look at the server-side portions of our application. It uses text-to-speech to announce to the user they are joining a conference, then drops the user into a conference with all other users of the editor currently connected. Note that the capability token constructor must have access to your Twilio account SID and auth token – by default, the node library looks for these values in environment variables, available programmatically at “process.env.TWILIO_ACCOUNT_SID” and “process.env.TWILIO_AUTH_TOKEN”. Storing your Twilio account credentials in environment variables is a good security practice, so they don’t get accidentally checked into source control. In this application, every time a message is received from the client, we will turn around and emit it back to all connected clients. The way to accomplish this is with the “socket.broadcast.emit()” function – this will send a message to all connected clients with the new value of the editor in the browser. In the live demo, I deployed the application to the AppFog PaaS. Like many node.js PaaS services, AppFog does not yet support web sockets. Luckily, socket.io allows us to very easily fall back to HTTP polling, which I configure on the server here. If your PaaS supports web sockets (or you’re running on a dedicated server or VPS), you might omit this configuration. In a few hundred lines of code, we’ve created a code editor and live chat application that, with a few improvements, can empower distributed teams to code together effectively. We’re able to do this because the tools of real time collaboration have matured significantly, and we have server and client side platforms built from the ground up to support event-driven communications. I hope you’re able to explore this sort of interaction in your own apps very soon!